Dark Horse Schedule WonderCon 2013! Dark Horse Comics is headed to California’s must-attend event on the comic book convention schedule – WonderCon Anaheim! Join us for signings at booth #819! Free comics and/or prints with each signing while supplies last. 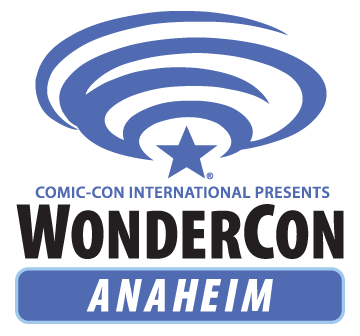 Tickets for signings at the Dark Horse booth will be distributed from the opening of WonderCon on Friday, March 29. Please note that lines may be capped or tickets issued for any signing as needed. Inquire about your favorite signings as early as possible. Some restrictions apply. All events are subject to change. Posted on March 22, 2013 Author Anthony DavisCategories Comics, News, Press ReleaseTags 2013, 47 ronin, Anaheim Convention Center, Avatar: The Last Airbender, BUFFYVERSE, Captain Midnight, dark horse, NUMBER 13, star wars, The True Lives of the Fabulous Killjoys, USAGI YOJIMBO, wonderconLeave a comment on Dark Horse Schedule WonderCon 2013! 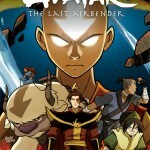 The Promise Part 3 is the latest and final installment to the Promise series for Avatar: The Last Airbender. We see a climax filled with battles, humor and even a touch of romance with so many relationships in turmoil from this push for Harmony. Will there be a tidy closure to this whole arc or will it just go on? Readers will have to go on to find out, or they can just check the spoilers and find out that way. The Earth and Fire reach their breaking point at Yu Dao, the time to abandon the city has come to a close and someone has to go. We see the group reunite under the tense atmosphere and face down not one but two armies bent on staking their claim no matter what the collateral damage is. Worse off is that Aang is facing his own demons or at least spirits on where he should stand, fighting his obligation as an Avatar and his emotion as well. With his master at odds with him there really is no easy out to this conflict and with no time left he’s putting numerous lives on the line to find his answer. We see Aang push himself to grow, not just as an Avatar but as his own spirit, in the process though he’ll shape entire nations or destroy them based on what he allows himself to do. Surely as the Avatar he can find another option? Part 3 focuses on the culmination of all the growth we’ve seen around Aang and how it forces him to find his own ground. [spoiler show=”Show Part 3 Spoilers” hide=”Hide Part 3 Spoilers”]Aang finds himself out of time in this battle, the Earth Army arrives at the gate with a demand to clear the fire from the city and claim it as their own, putting anyone in jail who remains. 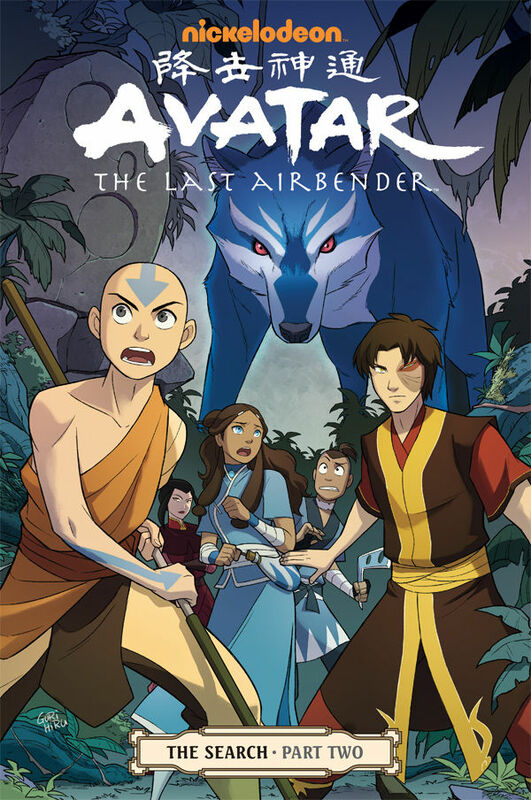 Despite his best efforts to buy time it doesn’t pay off, Katara and Aang face down a mob set on breaking down the walls and using pure force.Zuko is already en-route to the city and in intense debate of what to do, facing down the demons of his father trying to create harmony but at what cost. Going to the brink of war while distraught over what the right play in all of this is. Once the showdown begins Zuko begins to lose himself in the fight, through only the miracle of a decisive friend is he able to stand down after going to the brink and faces a pitfall that could extinguish him forever.Sokka, Toph and Suki reunite for battle, their challenge being one of the greatest as they have to buy time for Aang while taking down the Fire Army heavy armor moving toward Yu Dao. It’s a comical push as the group thinks on the fly and uses their abilities to save the day, well until Toph’s trainees join the battle to help them in their fatigued state. Katara spends much of the book debating on how to approach Aang over the movement and how she’s at odds with this entire challenge in Yu Dao. They’re attempting to break up friends and family and eventually each other if this push continues forward to break apart the clans. The Promise Part 3 wraps up with Aang reaching his latest growth, pushing forward to say no to tradition and to start the chapter of his life where he becomes his own version of the Avatar. He says goodbye to his predecessor, his fate and he forges a new path dedicated to the changing times and climate of the world, this isn’t about tradition, it’s about the future. He splits Yu Dao from any joining land and sets it free in his own way, taking it away from the Earth and Fire nations and forcing them to acknowledge the mixed community living together. We conclude with Aang and Zuko questioning their path, their future and what fate has coming, Zuko still focused on his mother and the dream they both shared of their battle. A face from the past returns as Zuko engages his final play to find information on his mother, it’s a gamble but one he’s willing to take. 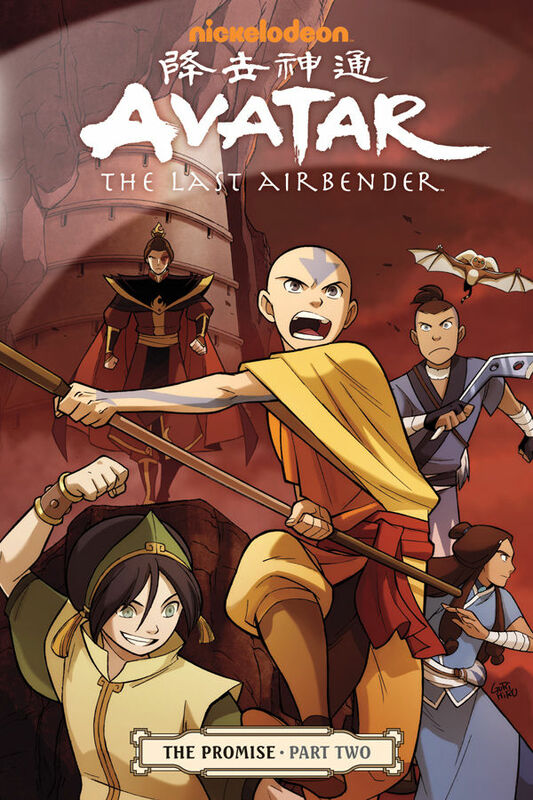 With that said, our arc ends and The Search takes the stage in March 2013 as Zuko, Aang and Azula journey on. Avatar going into these arc’s is a welcome shift, although the crunch of time between books is hard to swallow, unfortunately there aren’t many alternative options and each volume attempts to pack in enough details to keep you entertained until the next release hits. The Promise brought a lot of growth to the entire cast of Avatar and brought new light on Aang and his relationship or acceptance of his relationship with Katara as something more. 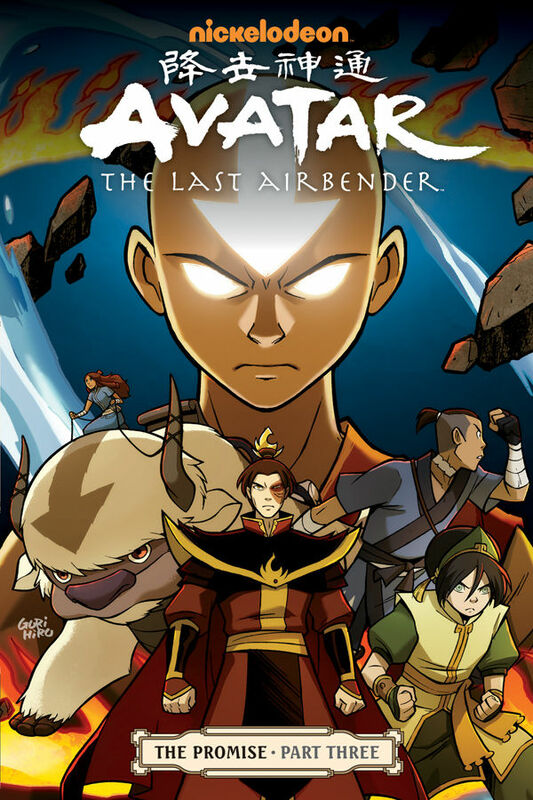 Avatar: The Last Airbender – The Promise is a series well worth reading if you’re a fan of the show and even if you’re just getting into the story. Do yourself a favor and at least look at the preview pages to see the high quality art and writing that have been invested into The Promise. March can’t come soon enough, we’ll hold steady for it though as Zuko takes the stage and new layers of the plot unfold. As Aang, Katara, Sokka and Toph continue to the Earth Kingdom, Toph interrupts informing them they need to detour to her school. In agreement, Sokka joins her while Appa and Katara go their own way, as they reach Toph’s school her three students Penga, Ho-Tun, The Dark One are leaving due to a fire bending teacher kicking them out. Angered, she confronts the teacher Master Kunyo and without hesitation the mean-spirited Toph attacks him using Rock and metal bending. The fight is cut short when Sokka cuts in and convinces them to have it out with a student vs student battle. Meanwhile Aang and Katara stop by a nearby village where they meet some girls who are Aang fans. Meanwhile, Zuko is visiting his father seeking guidance on being the Fire Lord, Ozai reminds his son of time the family was on vacation and Zuko stopped a hawk from trying to kill a turtle-crab where for a second he hesitated when he noticed how hungry the hawk was. He had to decide whether to keep the Crab or let it go so the hawk could take it, before he could make a decision Zuko was caught in giant wave to which Ozai had to save him. The chat ends with his father telling Zuko he’s tired and would continue talking tomorrow on this dilemma for his son. Back at Toph’s school, she and Sokka are training her students for the upcoming duel but come to realize that its hopeless because none of them can focus enough to bend anything. The day rolls on to Aang who is showing off to his female fan club, that show ends when Katara reminds him that he has to meet the Earth King. The next day Zuko returns to see his father and tells him that he thought about it and should have let the hawk kill the crab because it was stronger and earned its meal like the fire nation earning its power. Ozai Tells his son that he is only half right and that there is no right and wrong apart form what he decides because as the Fire Lord is right by the definition of position. He mentions that no peaceful solution will happen because the Earth King will not agree to anything Zuko suggests, this angers Zuko who verbally lashes out saying that he and Aang together will think of a peaceful solution for everyone. Furious that his son trust’s Aang’s decision more than his own, he calls Zuko weak and tells him to leave his presence. We switch back to see Toph still trying to train her group of “Lily Livers” as she calls them but is frustrated they haven’t progress at all, she walks at side and talks to Sokka and they come up with a plan to use each of the students weakness to motivate them. Back in Yu Dao, Kori and a couple of earth and fire benders are training together when her boyfriend Sneers walks up and they talk about how she has been missing their dates to train. She tells them they train to be ready just in case the protesters outside the city walls infiltrate. The chat comes to a halt as she learns what side of the protest that Sneers rests on. Kori under pressure is faced with having to put herself on a side but stands fast to her choice and informs Sneers he’ll be the one making the choice though. Sokka interrupts them. Later in day during the celebration festival a confliced Zuko tells Aang if he was to ever turn into his father and rule as he did, that Aang would kill him if necessary as safety net for the nations, a remorseful Aang agrees. One year later in the fire nations capital, Zuko who is having difficulty sleeping awakens shouting which alarms the guards. As they arrive, a visibly paranoid Zuko proceeds to tell the guards of an intruder inside the castle. As they tell him there is no one present but them, Zuko demands the men to believe him and then a ninja assassin makes an attempt to kill Zuko. 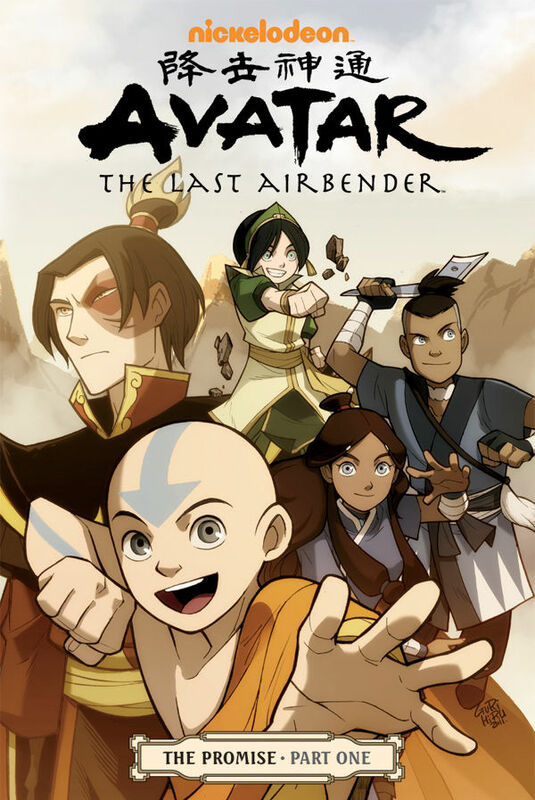 After a brief fight with the assassin Zuko unmask’s the ninja who turns out to be a young lady named Kori, she tells Zuko that his and the Avatar’s The Harmony Of Restoration Movement is going to destroy her homeland the city of Yu Dao. The next scene with Zuko takes Kori back to Yu Dao and he confronts the mayor who is also Kori’s father about the attempt she made to take his life. As the mayor pleads for forgiveness for his daughters actions Zuko tells him that the movement will only help bring about peace. To which the mayor informs Zuko the history of fire nation citizens who have been there for generations and that they consider Yu Dao to be home and that his father would have never let the avatar and the earth king bully him. Enraged over the fact the mayor mentions his fathers name, Zuko has a flash back of a day he went to visit his father’s dungeon cell. The old Fire Lord reminds his son of the pressures of being the Fire Lord and that he will need his advice one day. The Scene changes to Aang and the others escorting fire nation citizens back they are told that the new Fire Lord has withdrawn form the movement. Shocked and confused, Aang, Katara, Sokka and Toph riding on top of apaa make their way to Yu Dao to confront Zuko, as they travel we see Aang who is in his meditating state. They ask for Avatar Roku’s guidance on how to handle the Zuko situation and if he should honor the promise he made the night of the festival…….